The Battle of Passchendaele (German: Flandernschlacht, French: Deuxième Bataille des Flandres), also known as the Third Battle of Ypres, was a campaign of the First World War, fought by the Allies against the German Empire. The battle took place on the Western Front, from July to November 1917, for control of the ridges south and east of the Belgian city of Ypres in West Flanders, as part of a strategy decided by the Allies at conferences in November 1916 and May 1917. 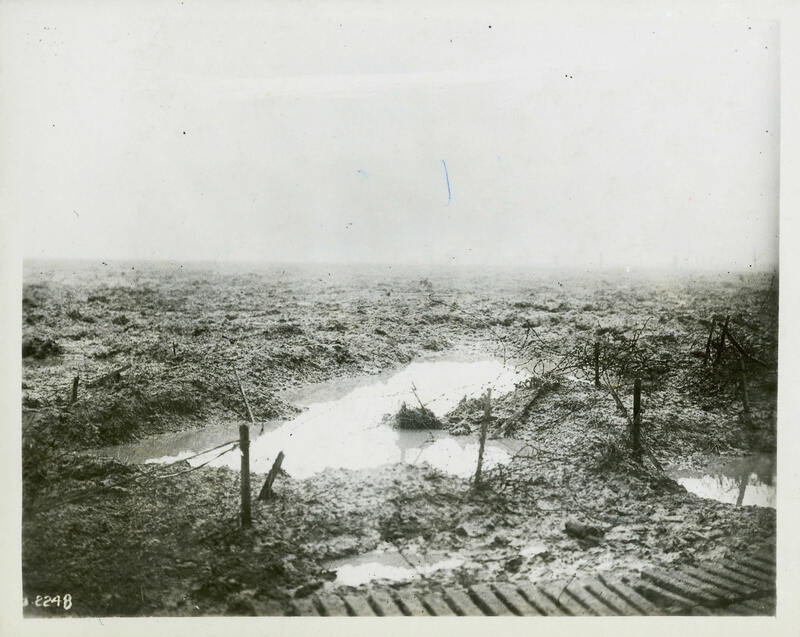 Passchendaele lay on the last ridge east of Ypres, 5 mi (8.0 km) from a railway junction at Roulers, which was vital to the supply system of the German 4th Army. The next stage of the Allied plan was an advance to Thourout–Couckelaere, to close the German-controlled railway running through Roulers and Thourout. Unidentified sailor on watch aboard H.M.C.S. IROQUOIS at sea, 1943. 1923 The Canadian Air Force motto "Sic Itur ad Astra" is replaced by the Royal Air Force motto "Per Ardua ad Astra" ("Through Adversity to the Stars").